Registration for our Summer term opens April 22 for classes and events from May through August! View the latest edition of OLLI's catalog, and check out our upcoming course and special offerings. Join us for a free Friday lecture. Topics range from Civil War history to using the internet safely. Bring a lunch and enjoy the company of OLLI members and their guests at one of these informative sessions. 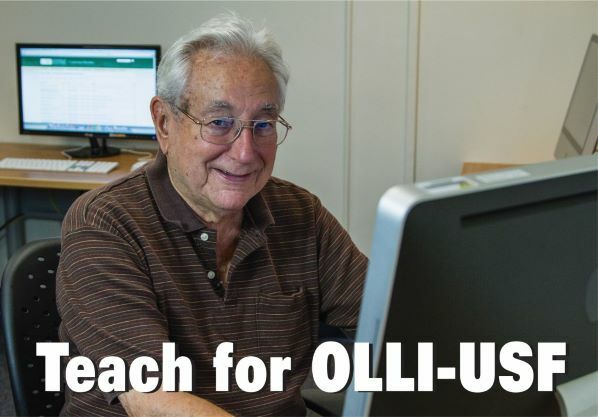 Most OLLI courses are taught by our members. If you can bring a skill or knowledge area to the classroom, submit a course proposal form and share your expertise with your fellow members.